Throughout the year, I receive phone calls from attorneys who have taken on their first FINRA case. Frequently, they know little about the FINRA Arbitration process, how it differs from litigation, and other alternative dispute resolution venues. I thought it would be helpful to provide a quick overview for new participants, and a refresher for those more experienced securities attorneys, on how the FINRA Arbitration and Mediation process works. The Financial Industry Regulatory Authority, more commonly known as FINRA (formerly NASD & NYSE), has the stated mission to protect investors and strengthen market integrity. FINRA is not part of the U.S. Government, but rather an independent, non-profit organization authorized by Congress to protect American investors by regulating the securities brokerage industry. As an alternative to civil court to resolve securities-related disputes, FINRA has established programs to uphold the integrity of the brokerage industry, as well as to solve disputes in an expedient and effective manner. FINRA believes self-regulation and dispute resolution is the most effective means of infusing a balance of industry and non-industry expertise into the regulatory process. Maintaining public confidence in the financial markets is a critical part of the regulatory function. As part of their regulatory mission, FINRA must stand ready to discipline member firms and their associated persons by imposing sanctions, fines, and expulsions where necessary to uphold integrity and promote the public's interest. Dispute resolution procedures between are set forth within FINRA Section 12000: Code of Arbitration Procedure for Customer Disputes. The protocols provided therein establish requirements for both claimants and respondents. In FINRA arbitration, cases are heard and resolved by a panel comprised of one to three arbitrators. The decision reached by the panel is referred to as an "award", which is final and binding to both parties. A party who believes they are entitled to an award can initiate the FINRA arbitration process by filing a Statement of Claim with FINRA via their online DR Portal. In the statement of claim, the filing party, or "claimant(s)", must describe the controversy and any FINRA or SEC rules or regulations which were violated. In addition, they may include supporting documentation and state the remedial action being sought, which is an estimate of a dollar amount of damages. After the initial filing, the FINRA will serve a copy of the claim to the opposing party in the, known as the "respondent(s)". After receiving the statement of claim, the respondent has 45 calendar days to respond. It is important to note there is a six year statute of limitations for filing a claim for FINRA arbitration. Respondent(s) must address the specific allegations and state their defenses. They may also file a counterclaim, if applicable. In addition, FINRA Rules state any respondent who fails to respond to a statement of claim may be prevented from presenting any contrary evidence or making any counterarguments at the arbitration hearing. After receiving the response, the claimant has 10 calendar days to provide each party a written reply. FINRA arbitrators are classified as being "public" or "non-public". A non-public arbitrator is defined as a person who has been associated with the securities industry within the past five years. To the contrary, a public arbitrator is an individual with no association or engagement within the securities industry. The composition of the arbitration panel is dependent upon the size of the claim in the dispute. For claimants seeking an award of $100,000 or less, the panel is made up of only one arbitrator, unless the parties agree in writing to retain three arbitrators. For disputes involving more than $100,000, a panel of three arbitrators will hear the dispute, unless both parties consent in writing to only one. Additionally, for disputes involving less than $50,000, there is an option available known as "Simplified Arbitration" comprised of a single arbitrator and a binding decision to be issued within 30 days. However, this type of arbitration does not include an in-person hearing to be conducted and a decision is reached only after the arbitrator reviews of all discovery material. FINRA uses the "Neutral List Selection System" (NLSS) to appoint arbitrator(s) to a case. This computer algorithm generates a list of arbitrators at random. For investor disputes under $100,000, a list of ten arbitrators is provided. For cases in excess of $100,000, the parties receive three lists: 10 chair-qualified public arbitrators, 15 public arbitrators, and 10 non-public arbitrators. Generally, it may take up to 16 months from the initial filing of the Statement of Claim until a final decision is determined by the arbitrator(s). After a majority decision has been made by the panel, or at the sole decision in of a single arbitrator, the panel will issue the ruling on the claim. Additionally, the panel may issue sanctions against the offending party in conjunction to damage reparations to further curtail against repeat offenses. All rulings are binding, meaning that failure to honor an award is a violation of FINRA rules, which may result in further sanctions or disbarment from the organization and the securities industry. All monetary damages must be paid within 30 days of the panel's decision date. A familiarity with FINRA's discovery process is essential in arbitration proceedings, as this understanding allows parties to obtain key information and evidence to support or defend their case. The FINRA arbitration process has specific time periods for initial and subsequent discovery. Here, parties are able to request key case information maintained by the opposing party to support claims made in the dispute. FINRA's code of arbitration states specific requirements for discovery requests as well as obligations of involved parties to furnish requests, and generally emphasize the principals of cooperation and expedience. "The parties must cooperate to the fullest extent practicable in the exchange of documents and information to expedite the arbitration." Rule 13505 describes the core of FINRA's policy in regard to arbitration and discovery requests. The main point of this rule is the emphasis on cooperation, and is a stance that FINRA strongly maintains throughout the entire arbitration process. From Rule 13506, not only are timelines for discovery requests revealed, but more importantly, FINRA's policies concerning the material that may be requested in discovery. Essentially, FINRA limits requested materials to be simply relevant to the case and in a non-narrative format; there are no other limitations to material that may be requested for discovery. In making requests for discovery material, FINRA places an emphasis on specificity in information requested. Generic and non-specific requests are generally not furnished by the opposing party, nor will be granted by the arbitration panel. Parties may request documents or information from any party by serving a written request directly on the party. Requests for information are generally limited to identification of individuals, entities, and time periods related to the dispute; such requests should be reasonable in number and not require narrative answers or fact finding. Standard interrogatories are generally not permitted in arbitration. ◦On any party subsequently added to the arbitration, 45 days or more after the statement of claim is served on that party. At the same time, the party must serve copies of the request on all other parties. Any request for documents or information should be specific and relate to the matter in controversy. Most importantly from Rule 13507, FINRA requires the responding party to act in "good faith" when responding to discovery requests. Good faith is the key term from this rule, as respondents are required to make a reasonable attempt to locate requested documents, and expend reasonable effort in doing so. Object as provided in Rule 13508. (b)	A party must act in good faith when complying with paragraph (a) of this rule. "Good faith" means that a party must use its best efforts to produce all documents required or agreed to be produced. If a document cannot be produced in the required time, a party must establish a reasonable timeframe to produce the document. In addition to arbitration, FINRA provides a process for mediation, an informal, but highly effective and flexible method of resolving disputes. In this process, the mediator's role is to guide the parties toward their own resolution outside of arbitration. Through joint sessions and separate caucuses with parties, the mediator helps both sides define the issues clearly, understand each other's position and move closer to resolution. In order to pursue mediation, both parties must consent to the mediation process. This is done through the filing of a Request to Mediate prior to the opening of arbitration hearings. However, if the matter is already in arbitration, the parties may contact their arbitration administrator for a referral to mediation. After the parties agree to the mediation process, they must select their mediator. FINRA mediators have subject-matter expertise, so that parties may select a mediator who is knowledgeable in the areas of controversy that are the subject of the dispute. Thus, mediators can often give each side an expert, and unbiased, view of the strengths and weaknesses of the overall case. 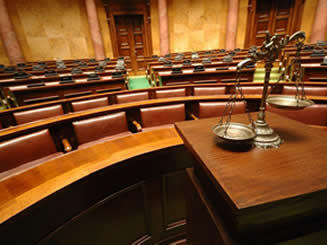 They may also discuss with the parties what might happen if the dispute does not settle and proceeds to arbitration. The parties will learn what takes place at a mediation session. Most often, mediations start with a joint session used to set the ground rules and an agenda. The joint session also helps define the issues and determines the parties' positions. Generally, during the process, parties move to separate caucuses. In these caucuses, the mediator will carry messages offers, counter offers, questions, demands, and proposals between both sides to help the parties move closer to resolution. After negotiations in mediation sessions, a settlement occurs if the parties resolve their dispute. Settlement by mediation is often beneficial to both parties as the mediation process is much less time consuming than the arbitration process and allows for discussion and negotiation between the parties. Impasse occurs if the parties do not settle their dispute. If a settlement is not reached, the claimant has the right to take the dispute to arbitration. Bob Lawson is a Securities & Insurance Expert Witness retained for FINRA arbitration, mediation, and federal/civil court litigation. 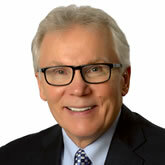 Mr. Lawson possesses over 30 years of experience within the securities and insurance industries. In 1988, Mr. Lawson founded Barrington Capital Management, Inc., a Registered Investment Advisory firm and Insurance Agency, and currently serves as the President and Chief Compliance Officer. In addition, Mr. Lawson presides as a FINRA & NFA Dispute Resolution Arbitrator for disputes concerning public and private investors, financial services professionals, broker-dealers, and dually-registered investment advisers.